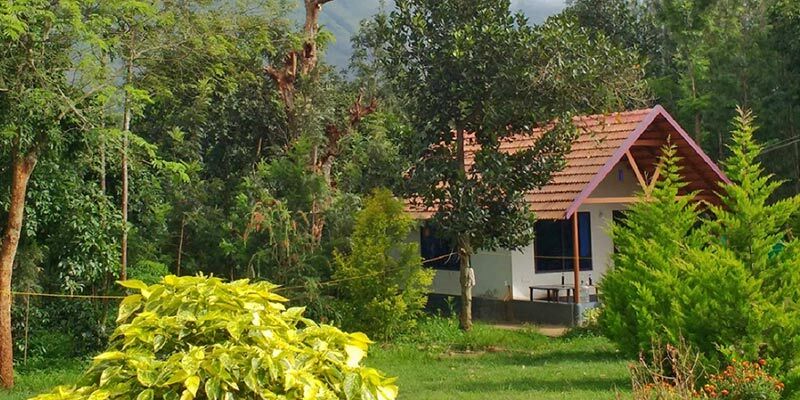 If you really want to experience the best of Chikmagalur and indulge in the culture of this hill-station in Karnataka, a homestay should be your choice of accommodation. 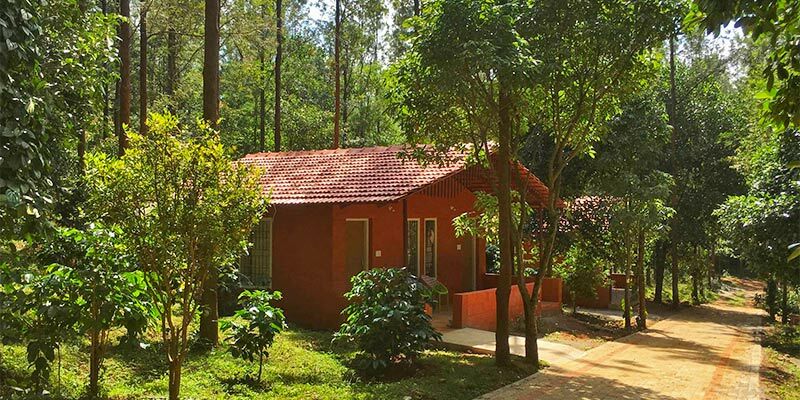 Here's a list of best Chikmagalur homestays located amidst scenic locations that promise a blissful stay, brimming with commendable local hospitality and rural charm. 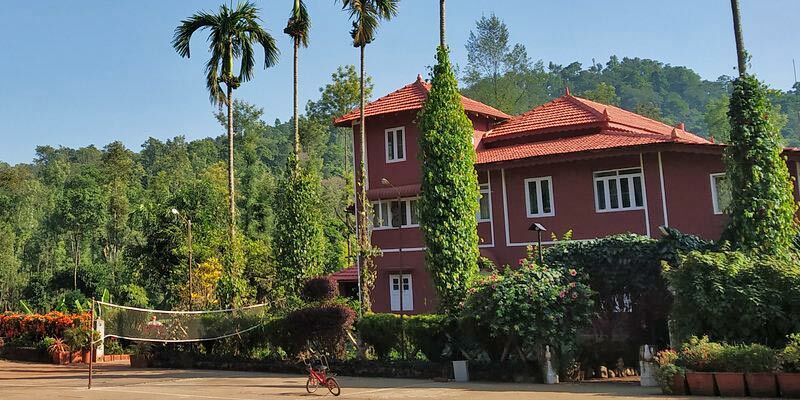 Situated amidst epic landscapes, rivers, valleys and vast countryside, Halli Berri cottages are quaint home that are tucked away on a coffee estate and on secluded Baba Budan mountains. 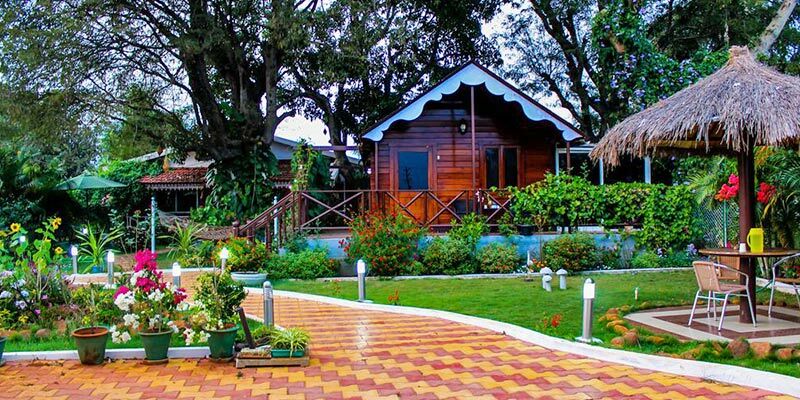 These are boutique bungalows set within Halli Berri coffee estate, renowned for its 100% Arabica coffee. With its own café, Halli Berri serves many home made local dishes one can die for amongst the natural setting. Owner, a lovely lady is sometime around and loves chatting with guests about the plantation and the cofee estate. All the visitors must remember to pack a pair of comfortable shoes for hidden adventure as there’s tedious mountain trek where jungle canopies will guide you up to gorgeous waterfalls. 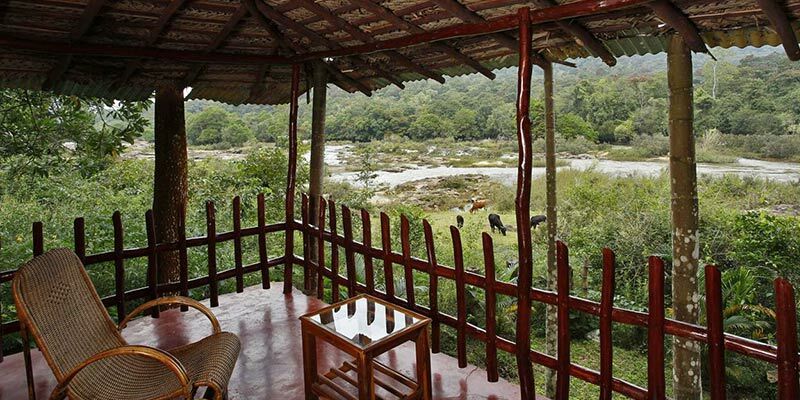 Beyond the estate is Bhadra Tiger reserve and most amazing Elephant camp which is a chance to bathe orphaned elephants. Lastly, they have their own sustainable farmed and shade grown – Halli Berri gourmet coffee. They organize a walk around the estate in which they take you through the whole cycle of cofee production right from plantation to final product. Place is a gem for those looking a quite stay in midst of nature. If looking for a place to be hidden away in peace and for a country retreat, The Inchara Hill View Homestay is the one for you. Standing on a small hill facing the ferocious Western Ghats and also is opposite to Famous Deviramma temple. Visitors can savour the Cuisine of Malnad food, both non-vegetarian and vegetarian. It has scenic beauty as here one can adore finest hills, picturesque valleys, ponds, endless panoramic paddy fields, indigenous arecanut gardens, streams and waterfall. All the nature lovers who want to take a break from their hustled life and live in homestay’s fresh air and chirping sound of birds – hence the name Inchara, is one for you. Mountain Valley presents you a perfect stay in with its unique hospitality and activities. The resort with "luxury" has well acquainted room with modern amenities and perfect ambiance for guests to sit and relax. Just like other homestays, Mountain Valley offers you a walk through the coffee plantations, waterfalls or extravagant dinner by a bonfire with your loved ones. One can spend a perfect day starting from brisk walk in lush greenery or can go for cycling, continuing day with the indoor as well as outdoor activities. Then going for a wildlife safari and ending day with personalised barbecue and enjoy dinner in crackling sound of personalised campfire. 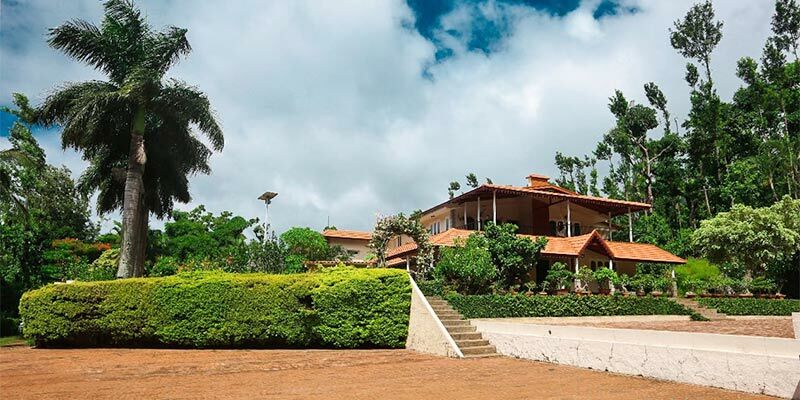 Located approximately 10 kms from Chikmagalur, Cloverleaf Estate is a base camp for all the cultural, wildlife and spiritual adventure. It’s a perfect family stay as it has rooms for 6 or more people comfortably in one cottage. These cottages give special and relax feeling because of its natural view and the valley in dusk if is filled with fog with later on move towards into the coffee plantation. Its in-house restraint “homely kitchen” serves with delicious veg and non-veg cuisines. Other facilities of homestay include barbecue on request with a full-on party space. Interestingly, it has golf course in its vicinity. Tucked away in the little village of Mallundur, Tusker trail Homestay is situated amidst the lap of nature and a number of fruit bearing trees. It is an ideal place to drop by for tourists. Tusker trail offers 3 spacious double bedrooms which can accommodate 12-20 members. They also serve Malnad cuisine. Major attractions of the homestay are Muthodi wildlife sanctuary, surrounded by hills has tributaries of Bhadra river flowing where once can stroll or trying its fishing skills. Guests of Tusker trail can also trek on Bababunderi and Mullayanagiri hills- tallest mountain in Karnataka. Last but not the least Hebbe falls and Kemmangundi falls can be the favourite site for solitude seekers. Built by AraluguppeChandregowda in 1934, The structure of Thippanahalli homestay is a magnificent red building covering an area of 11,000 square feet, with 28 rooms that are all gorgeous and adorned with beautiful rare artifacts like paintings and chandeliers that have been collected over a period of 5 generations. The coffee plantations are spread as far as your eyes can see amidst the scenic hills. The family have been growing coffee since 1860 and surely provide you with the best coffee in town. The place serves authentic Malnad cuisine and has hosts that'll behave like a family to you. The place has been placed under the premier gold segment under hotels in Karnataka by the tourism department. 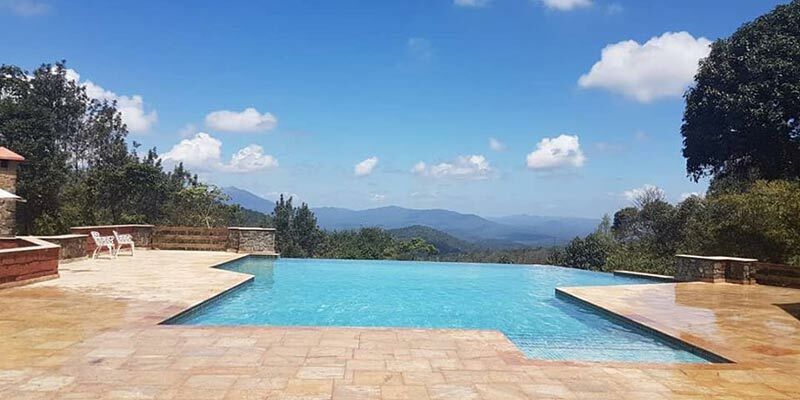 Located just 10 kilometres away from the scenic Devaramane temple and mountain range, Haveli Holiday Home also known as H-cube is one of the best places to stay in Chikmagalur that is surrounded by beautiful locations like the river Hemavathi and aesthetic waterfalls. 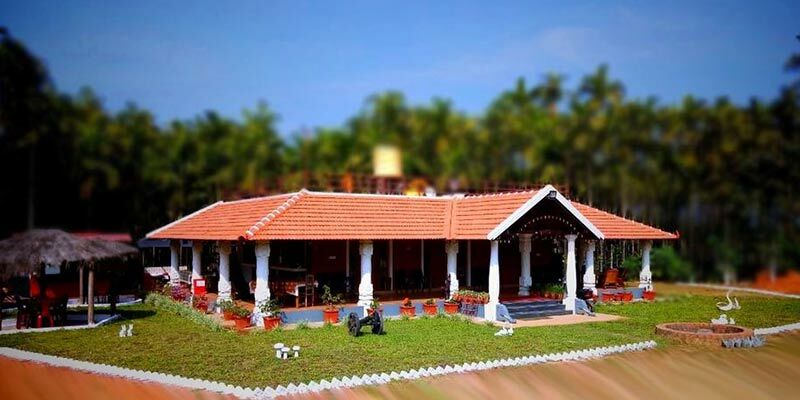 Apart from great accommodation and delicious regional Malnad food like chicken fry, pork fry and fish dishes the place really gives you an experience of nature's beauty, one can indulge in bird watching, take a tour of their attractive coffee estate, play different games such as volleyball, slush mud games, and bow and arrow, and even ride horses. The place also provides a trip to Devramane and kayaking activity is absolutely free for the guests. 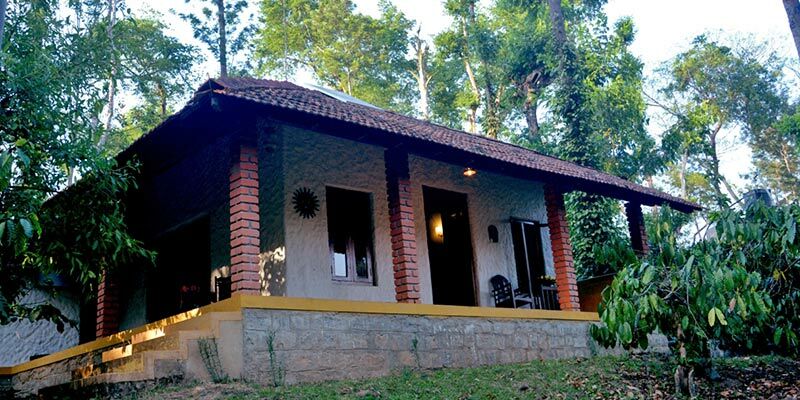 The only coffee estate in the district that has the beautiful Bhadra river flowing alongside it, River woods is the sixties styled plantation homestay offering luxurious bedrooms with wooden ceiling and tiled roofs surrounded by spacious green gardens and is nestled amidst lush green forests with towering trees and thick growth of coffee with pepper vines. The river flowing alongside it makes it really unique and gives the homestay its charm. One can indulge in kayaking, rafting, hiking, fishing and many more adventurous activities offered by River Woods. The coffee here is lovingly grown which is hundred percent organic and stands out from the rest. The place also offers a heart-warming BBQ around a bonfire under the stars. 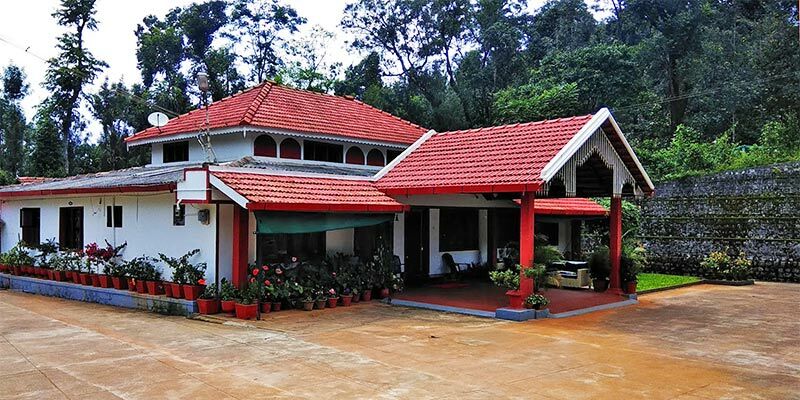 Established amidst the tranquillity and peace of the lush coffee bushes on the Giri hill range, Woodway Estates and Homestay is located 14 kilometres from Chikmagalur and offers comfortable accommodation and delicious home-cooked regional food along with endless cups of aromatic South Indian coffee. The homestay is in close proximity to popular tourist destinations such as the Bhadra wildlife sanctuary and offers much more adventurous activity like lively treks, birdwatching more than 100 species, an informative coffee tour and cycling. If that's not enough for you the homestay also has a 9-hole golf course. 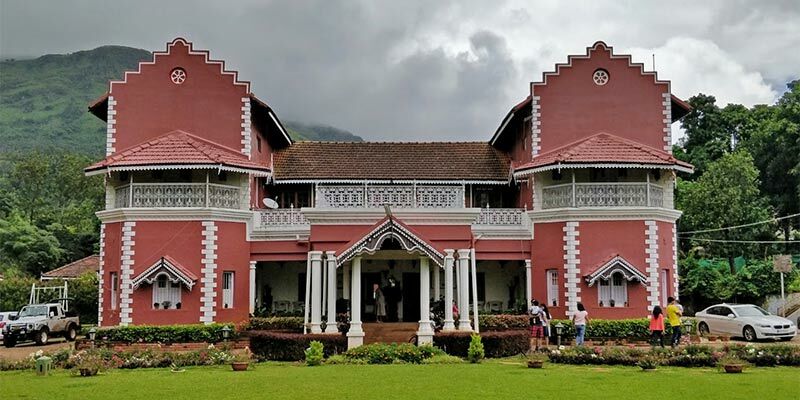 Offering the luxury of colonial times in Chikmagalur, The Coffee Bean Stay is more than 100 years old heritage stay at a height of about 3900 meters above sea level surrounded by lush green hills of the Western Ghats that offers commendable accommodations and delicious authentic Malnad cuisines. The homestay has been awarded a certificate of excellence in 2017 by TripAdvisor and offers state of art comfortably styled individual cottages that even feature private balconies. The homestay just like others offers a walk through their estate, Fishing in their picturesque private lake, a tiny library, a variety of indoor and outdoor games and a cozy courtyard with a beautiful fireplace. 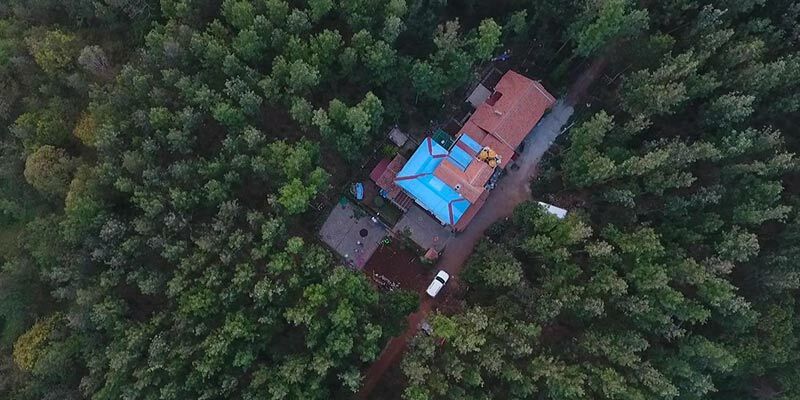 At around 4500 meters above sea level amidst the majestic Western Ghats, Forest Homestay is located in Maradi village where you can truly experience the glory and exquisite beauty of the Western Ghats. Forest homestay provides rustic heritage style beautiful cottages in midst of lush green coffee plantations, majestic mountain backdrops, and spectacular streams with a variety of birds. 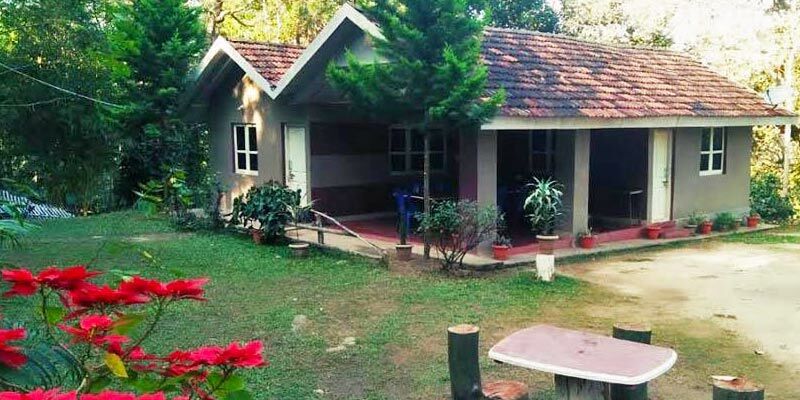 The homestay offers pure regional Malnad style foods, beautiful walks through their coffee estates, lively treks on Benne Kallu, birdwatching with over 100 words, and warm and cozy bonfires. The place offers tents, cottages and a Portic surrounded by lush green coffee plants. Nested in the picturesque Baba Budangiri range of hills in the north of Chikmagalur in Karnataka, Divigiri estate offers comfortable and affordable accommodations ranging from tents to beautiful wooden cottages along with hundred percent organic foods, regional home cooked delicacies and endless rounds of South India coffee. The homestay offers many indoor as well as outdoor games that'll keep you hooked, a walk through their beautiful endless coffee estate and many more fun activities such as adventurous trekking, cycling through the lush greenery and fresh air and cozy dinners on a bonfire that'll surely warm your heart. The place also offers beautiful tree houses that are one of a kind and make this place really stand out. An unusual but perfect mix of luxury and rural plantation life, Villa Urvinkhan offers the warmth and seamless hospitality of a luxury hotel in the middle of Urvinkhan estate, that literally translates to dense forest. 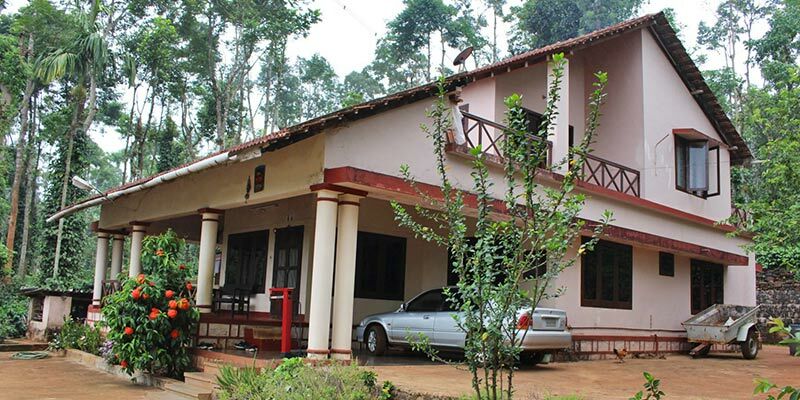 The homestay is located deep in the scenic western ghats in the Urvinkhan estate, established in the 1980s. The estate houses a plethora of flora and fauna like the wild boar, Indian gaur, deer, beautiful peacocks and a variety of birds that certainly make birdwatching a treat here. One can also indulge in coffee estate walks, trekking, an ATV trail, and even fishing. The place is absolutely gorgeous furnished with antique furniture, open gardens, outdoor showers, indoor tubs, and a gorgeous infinity pool. Practicing coffee cultivation for over 60 years, Thotadhalli Homestay is established on the foothills of the Mullayangiri amidst scenic lush greens and fertile stretches of iron-enriched soil. The aura of the place is serene and tranquil that'll leave you spell bound. The Thotadhalli offers a lot of indoor and outdoor games, a coffee tour, walk through their endless plantations, birdwatching with more than 100 species that are easy to spot, and authentic Malnad food that you can enjoy by the bonfire. The place is in the proximity of various tourist destinations like Mullayangiri, Bababudangiri, Muthod wild tour, Ayannkere lake, Buttermilk falls, KemaanuGundu, and many temples. The proud recipient of the ‘Golden Category Recognition Award’ instituted by Ministry of Tourism, Karnataka state, Govt of India, Shanti Kunj Homestay is cocooned coffee estate of Chikmangaluru. It provides guests with plenty choices of cottages such as Areca, Tent, Glass, Log and even Mud house. There's a plenty of activities you can indulge in and around this paradise homestay including the plantation tour that takes you back in time, that is infotainment, birdwatching different rare species that are truly mesmerizing, And the wildlife watch where you can find and explore various wild animals like peacocks, hares, deer and many more.